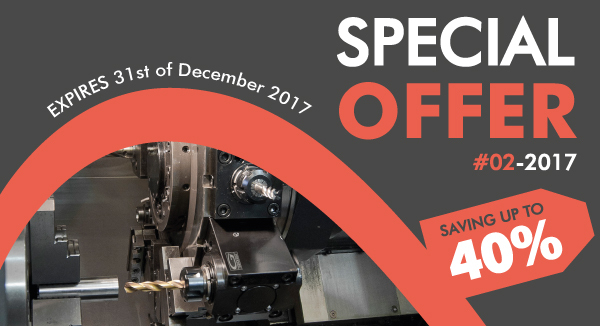 The new Special Offer EMO/2017 is now available ! Innovative comb system for quick pull-down jaw plates change. Vises with much longer base than standard one. – For multiple clamping from 1 to 12 workpieces of various sizes. – Self centering and eccentric vises. Ideal for 5 axis machine centres. – Specific for horizontal and vertical machining centres. – Solid cast iron cast G30 with double stress relieving heat treatment. Garanzia estesa fino a 2 anni! – XL Classic Line angle heads, Ideal for large machine tools and milling machines. These angle heads are designed for heavy duty cutting. – A wide range of driven tools with an unbeatable price / quality ratio.